In May 2017, Paltrack launched a new IR (Independent Representative) Program. The purpose of the program is to move Paltrack representation closer to our customers and in the process improve on the overall customer experience. The IR will be servicing existing and new clients from an account management perspective and in emergencies assist with on-site support. The main support channel will still be via the Paltrack Helpdesk serviced from head office. 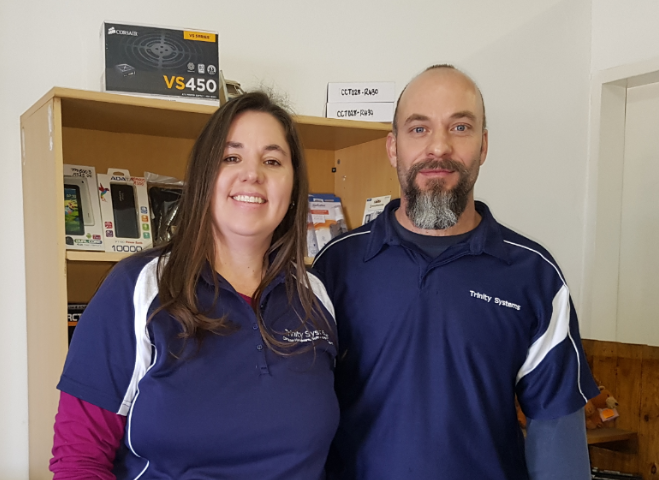 Paltrack has signed an agreement with Trinity Systems, Riaan and Christine van Rooyen, who will be representing Paltrack in the Northern Cape and Namibian areas. Riaan and Christine has worked most of their lives together. They complement each other and make for a strong team. Riaan is strong on the technical side and Christine is strong on the software and administration side. Christine has ten years’ experience from a software development background and has also specialized in project management. Riaan has over twenty years’ experience in the IT Industry from a technical background. It is these strong skills that will add tremendous value to the Paltrack customer base. With Trinity Systems already having established relationships with some of Paltrack’s customers in the area, it is a natural fit between the two partners. Apart from being the area representative for the Paltrack clients, Trinity Systems will also be able to offer solutions to the clients for their day-to-day IT requirements.